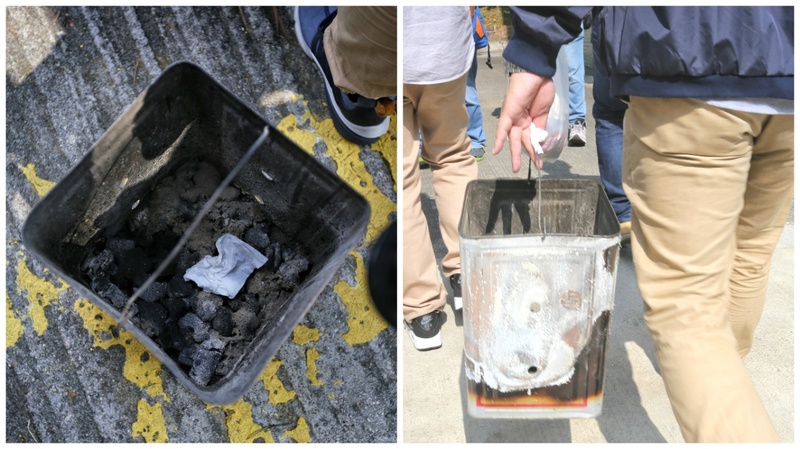 Emergency services rescued two young children and their father from a room with burning charcoal in a Tsuen Wan flat on Tuesday. A girl, 6, and her younger brothers, 4 and 1, were conscious, while their father, 35, was in a “semi-conscious state”, according to a police spokeswoman at the family’s flat in Yau Kom Tau Village off Tuen Mun Road. A younger brother, believed to be two years old, and a domestic helper were unhurt as they were in another bedroom at the time, a source said. Officers also seized a metal container with the burnt charcoal from the flat. The father and the two older children were sent to Yan Chai Hospital in Tsuen Wan for treatment. The source added that the man, who works as a truck driver, and his wife had been separated for several months, and she had moved out of the flat. His wife became suspicious when she received a message saying the father had been absent from work. She told officers she went to the Tsuen Wan flat and found him and her children in the bedroom with the burning charcoal, and called police at 6.10am. Around midday, the source said the man was still in a semi-conscious state in hospital and was unfit for an interview. It was understood the man had been arrested on suspicion of pushing his wife during a public dispute in Tsuen Wan last November. It looked like the husband was attempting to commit suicide with the young children ... committing suicide is not the solution to solve marriage problem :76: ... fortunately no one was seriously hurt in this failed suicide attempt. this is more likely a suicide case. they are probably attempting to commit suicide. luckily they are rescue before any deaths occur.